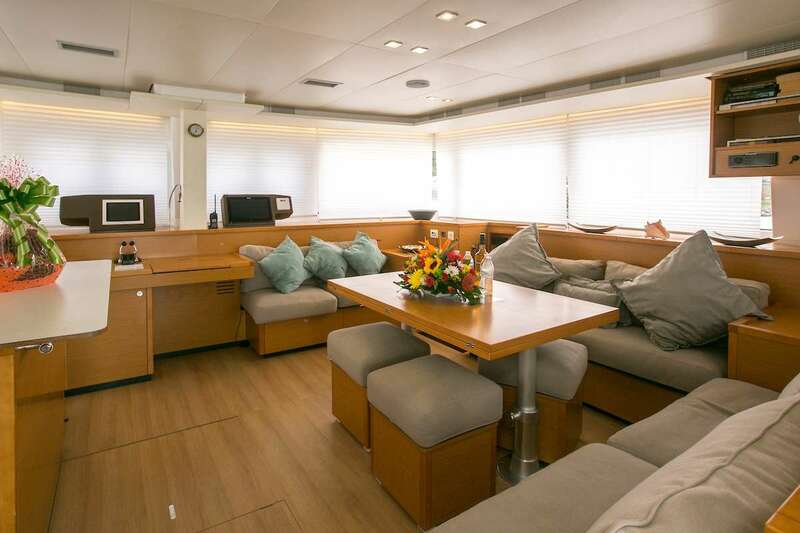 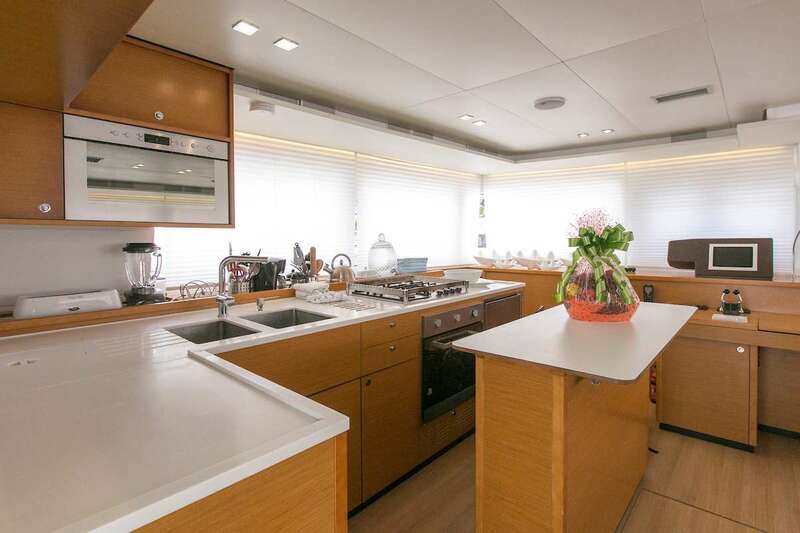 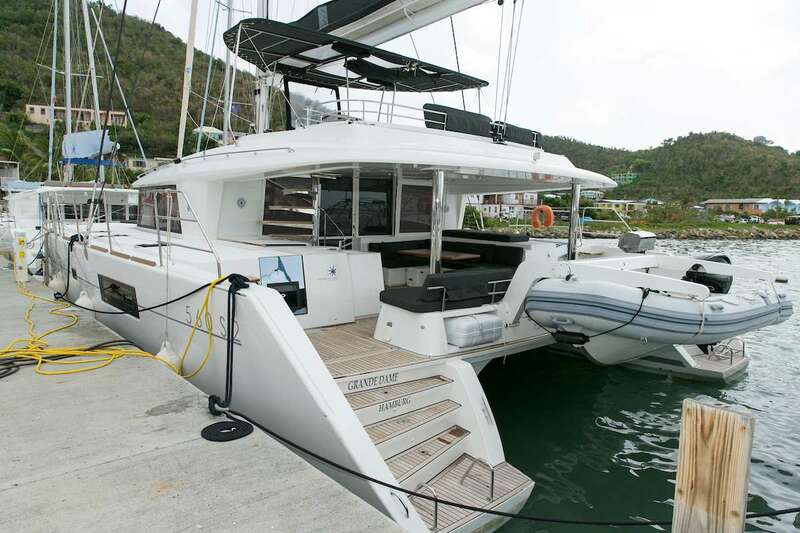 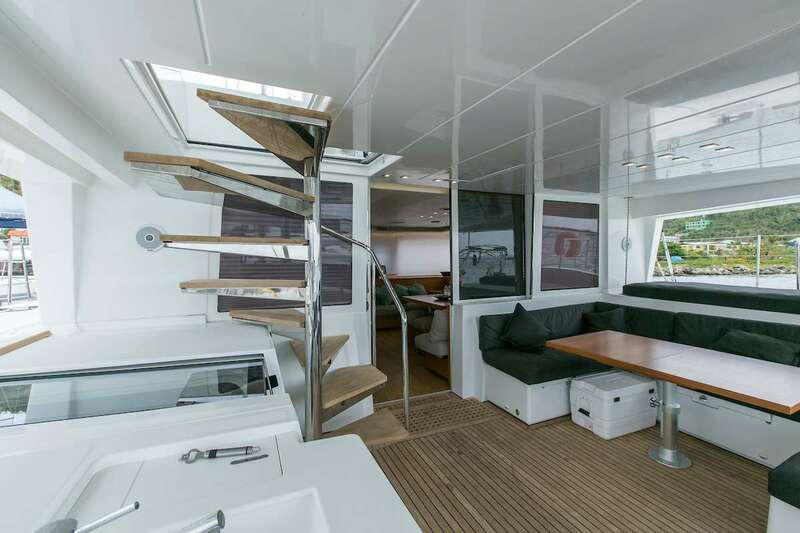 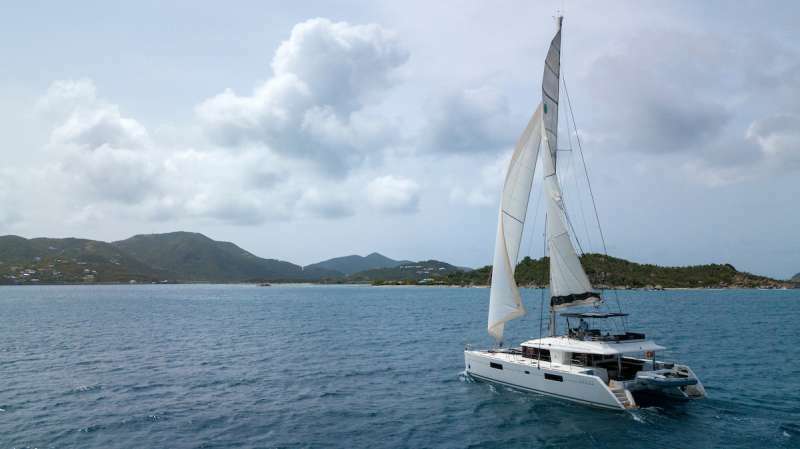 Designed for hospitable cruising, Lagoon 560 offers luxurious and ample interior and exterior space for the guests. 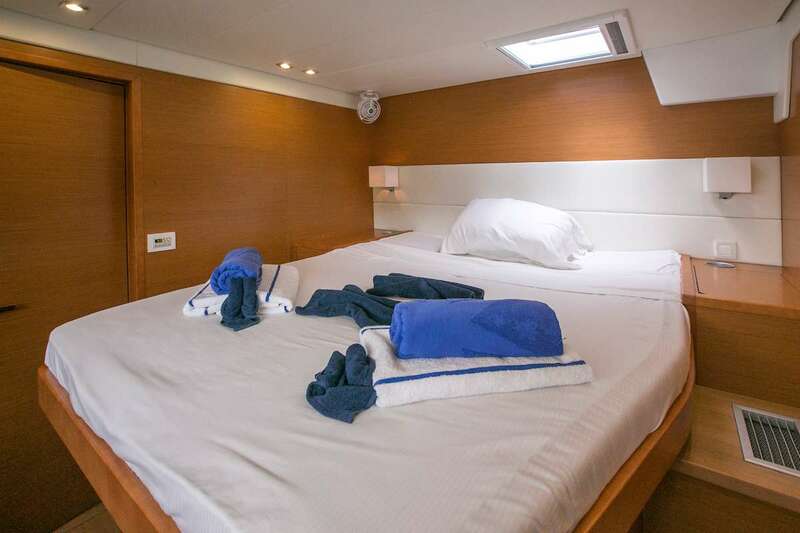 The yacht offers 4 staterooms all with double beds and en-suite facilities. 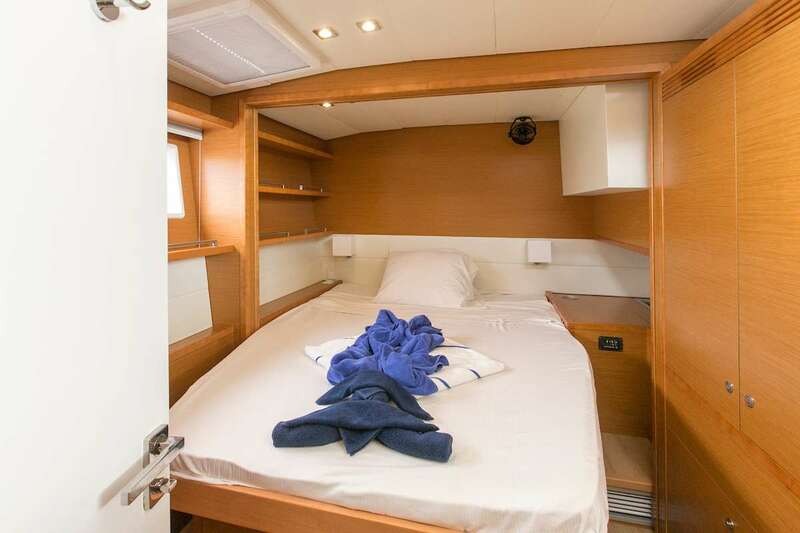 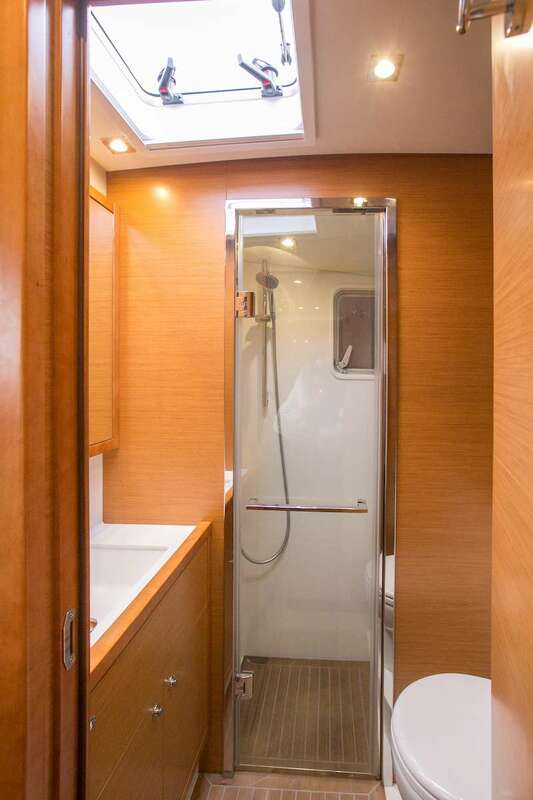 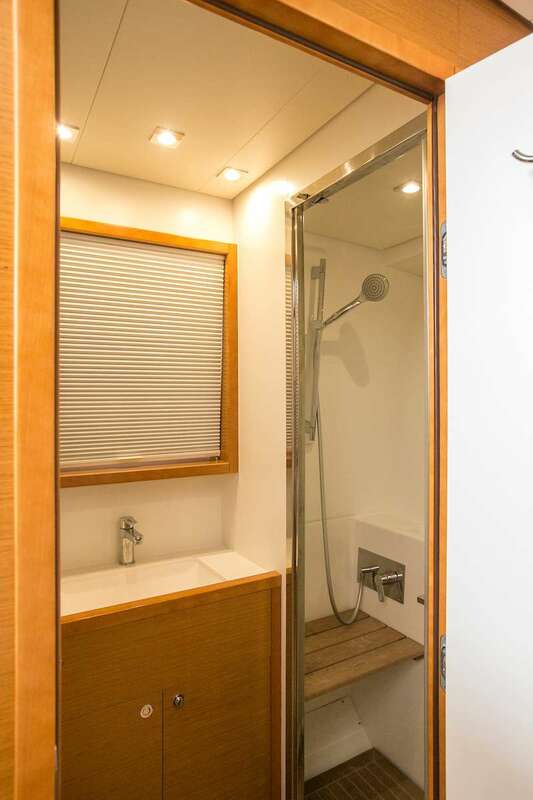 In addition, there is one extra cabin with a bunk bed and crew quarters on board. 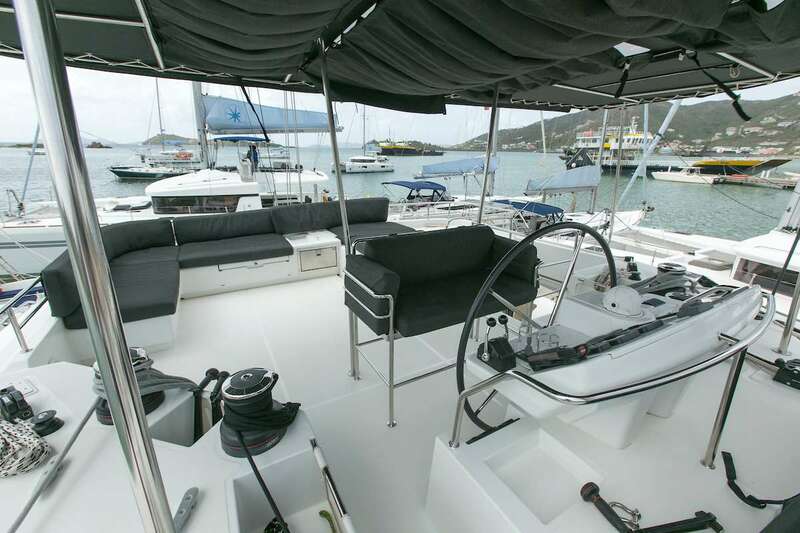 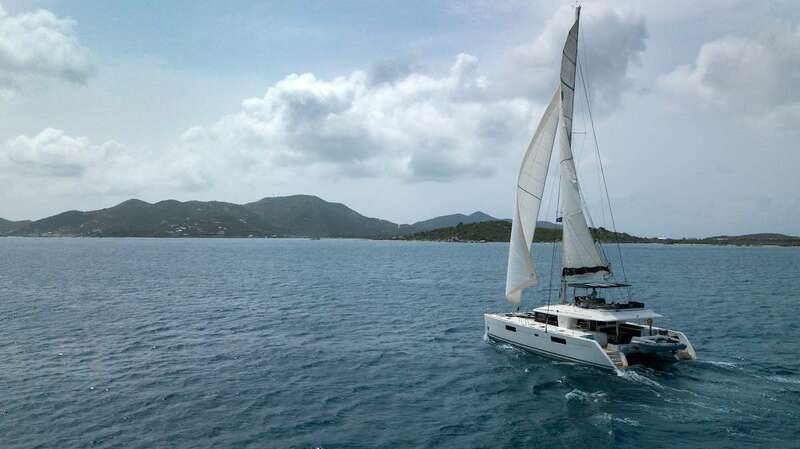 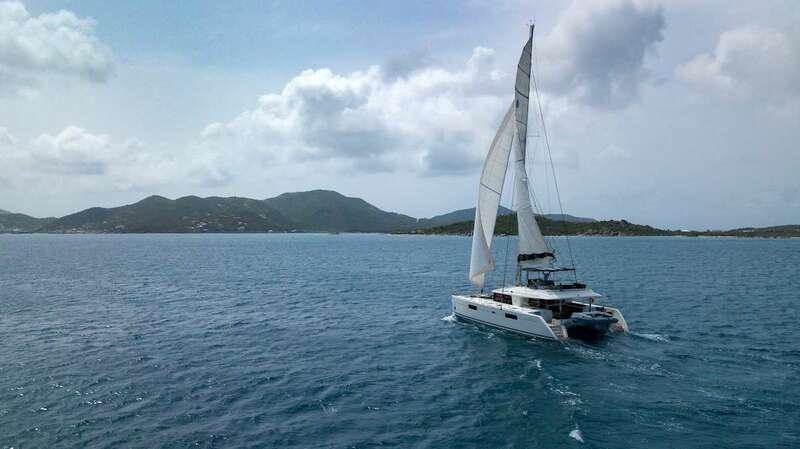 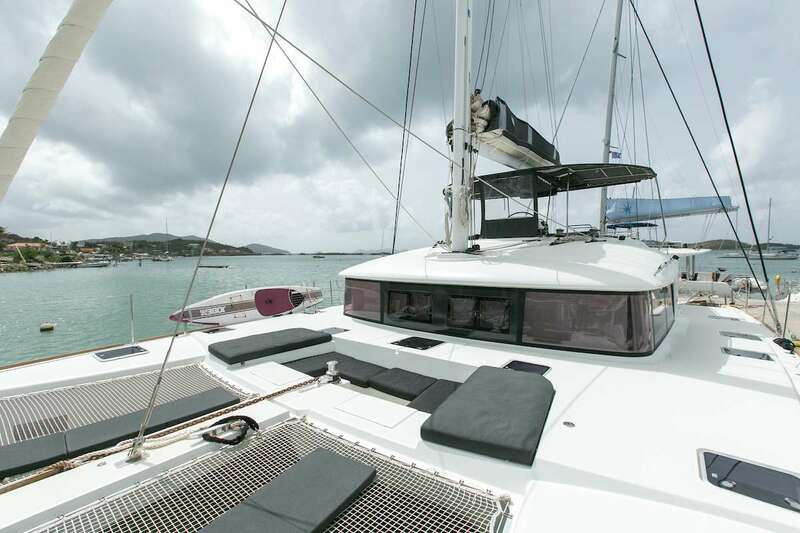 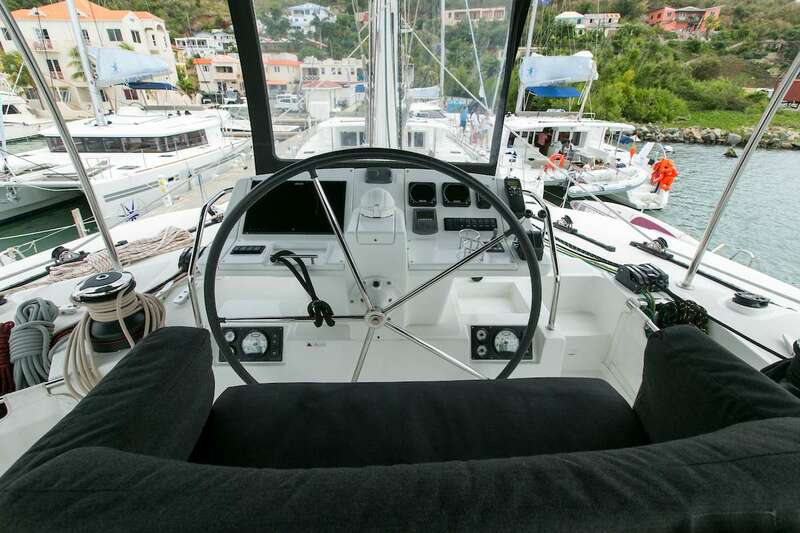 �GRANDE DAME� combines all the comfort of a nice home on board and safe cruising. 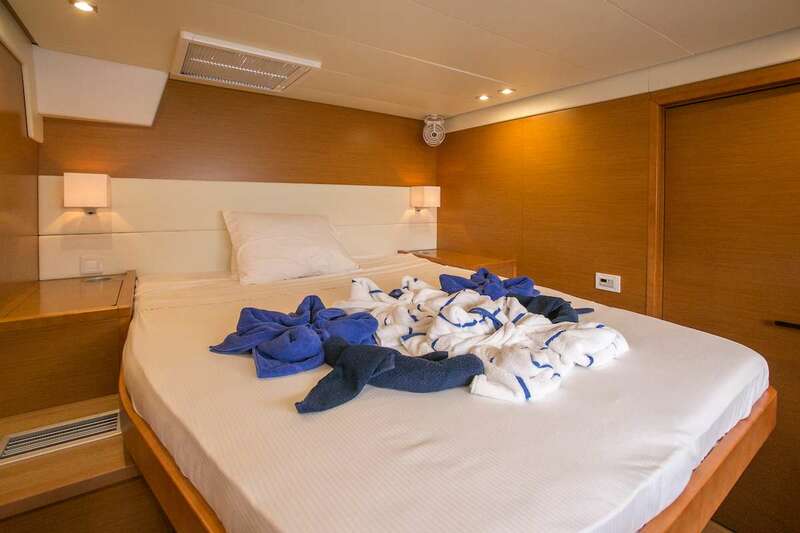 Thanks to a well-experienced and friendly crew at your service, �GRANDE DAME� will definitely be the best choice for your adventure at sea. 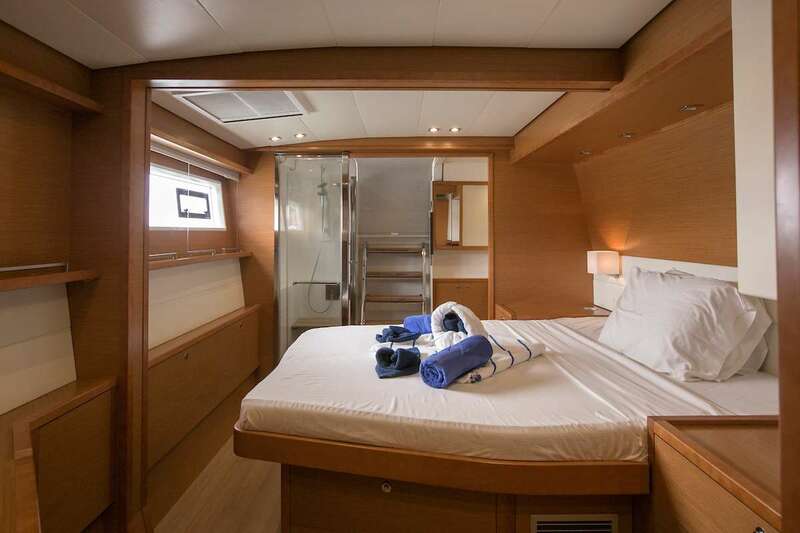 4 guest staterooms with queen-beds, all with ensuite facilities.